Written by Jose Javier Reyes, “Spirit of the Glass: The Haunted” sees three friends who gained popularity through social media: Bea, Lisette and Chelsea were called the Instaglams since their popularity was rooted on social media. Bea is a lifestyle editor of a popular magazine as well as a stylist, Lisette is an up and coming young actress while Chelsea is a popular model for mainstream and viral advertising. The three girls gained that much desired reputation of being the Girls of the Moment, basking on their youth and popularity. Each had their own partners --- Bea with Enzo, an athlete businessman whose best buddy is Jag, another scion of a rich family and Andre, Chelsea’s rich beau. Young, beautiful and unsuccessful, all are completely unaware that they would be ensnared in the complicated world of the supernatural because of an article inherited by Bea from her grandaunt --- an Ouija board. 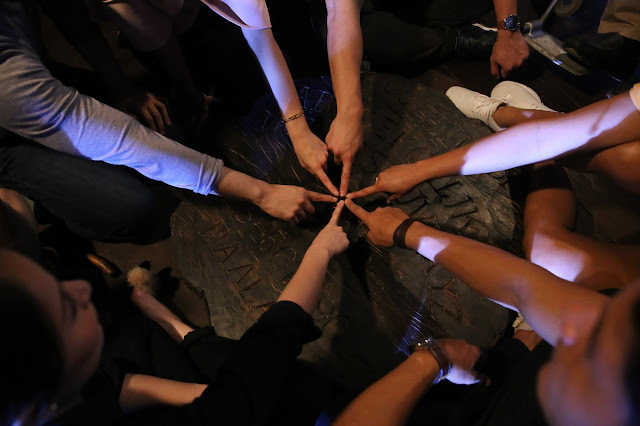 Out of sheer boredom, the group decided to play with the board thinking it was a toy and unwittingly opening the gates of the other world for three spirits to connect with them. Without their knowledge, they agreed to help the spirits not aware of the consequences of such actions as they are now harassed by these disturbed souls to help them seek justice. The crime was committed fifty years ago involving one of the most beautiful young actresses in the country named Sabrina Villafuerte who was forced to marry a man she did not loved named Budoy Carbonell --- the grandfather of Bea. The spirits haunt the girls and their partners until they are forced to connect with a blind medium named Anita who was quite aware of the haunting that was taking place. The finale is a showdown that completely caught the friends off guard and bewildered by what they had accidentally unravelled. 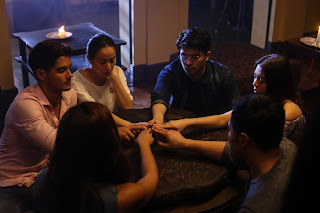 “Spirit of the Glass 2 : The Haunted” stars Cristine Reyes, Daniel Matsunaga, Maxine Medina, Benjamin Alves, Ashley Ortega, Enrico Cuenca, Janine Gutierrez, Dominic Roque, and Aaron Villaflor.